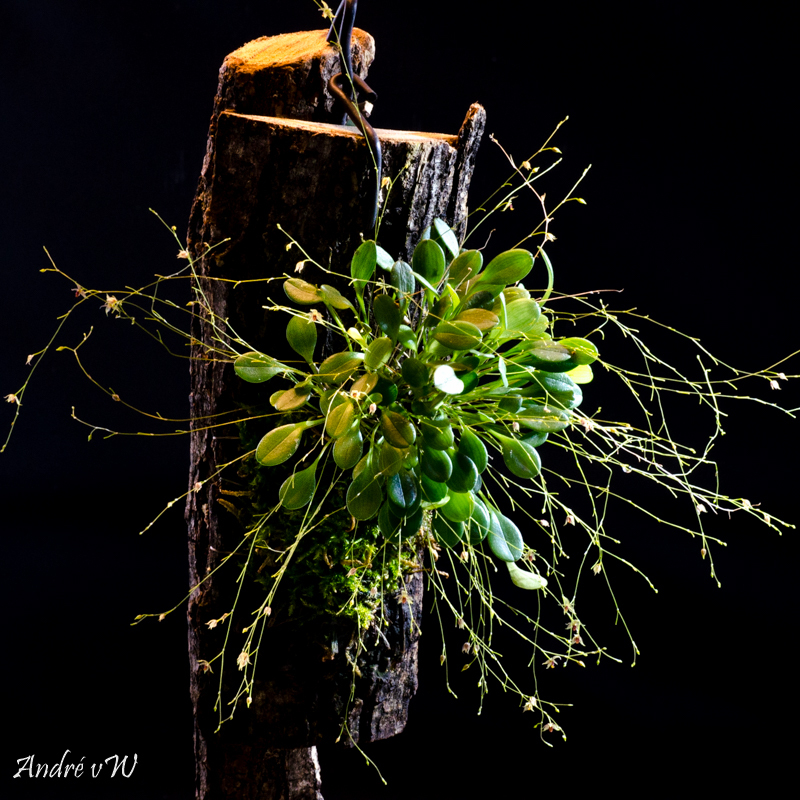 Discussion in 'Orchid Species' started by weeand, Apr 12, 2019. I bought this species about a year ago with no ID. When it started blooming in December 2018 it appeared to be P. resimula, thanks to Wiel Driessens. 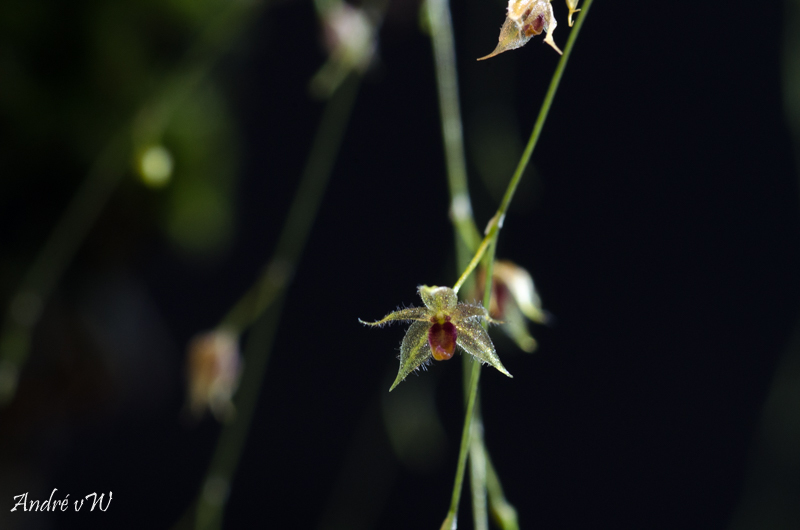 And it still blooms with very little flowers, about 3 to 4 mm. It’s a I/C grower. High humidity. Foozil, wpinnix and RustyExotics like this. So tiny! I think I start to lime the miniatures more and more. Beautiful photos, too. What camera do you use to capture so well the delicate flowers? I use a Nikon D7000 with a Tamron 90mm Macro lens. The camera is on a tripod and I use sometimes additional lighting. I wanted to write "like", but I see I wrote "lime"instead.